Another day, another dystopian novel. Before I say anything else, I have to mention how much I hate the cover art for this book. Or, at least, the font choice and shadowing. Yuck. The background image works, other than that orange glow at the bottom, and represents the story well. The text makes me feel as though I should be picking up this novel as a paperback out of a fantasy/sci-fi bin at a used bookstore. Call me snobby, but I want my books looking like they are ready to win the Pulitzer, even if the content does not match. Dress for success, you know? I'm climbing off my soapbox now. I don't talk a lot about cover art, mostly because of that whole don't-judge-by-it thing, but I simply could not let this one slide. It's the kind of cover art that makes me a bit ashamed to have it showing up next to thumbnails of simple, striking covers or stunningly beautiful ones. Ok, I promise I am finished. Far more important than the cover art, let's talk about what's behind that cover: the story itself. 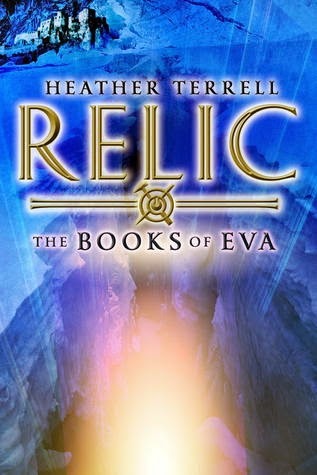 Heather Terrell sets her protagonist, Eva, in the Arctic Circle, several hundred years in the future. Somewhere around our time, the world floods, presumably due to global warming. Humanity flees to what remains in the north and set up a new society there. The Inuit, called the Boundary People now, work as a servant class within the Ring, a massive ice structure built to protect the Aerie, the chosen survivors, from the remains of the world. The culture created by the Aerie is loosely structured around Medieval morals and traditions. It seems near blasphemy writing about a movie before I even finish the book. However, on the recommendation of Jamie, in whom I completely trust, I reversed standard operating procedure. 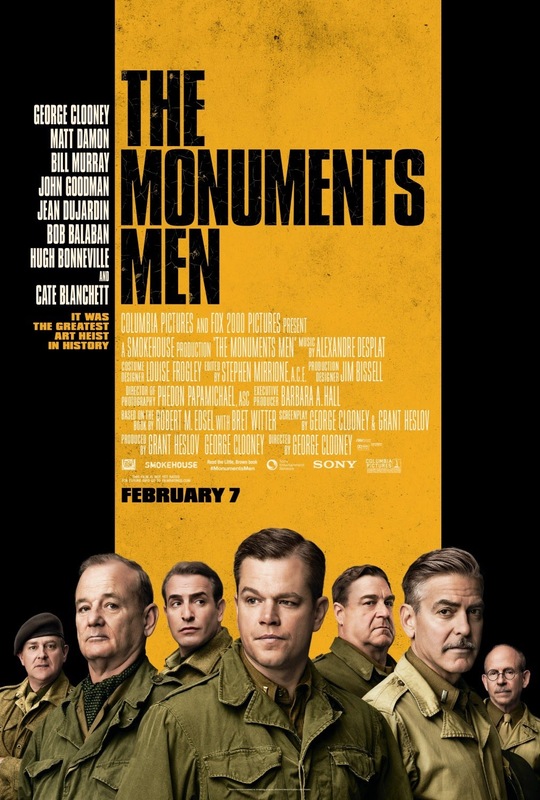 The Monuments Men got a lot of media hype when it came out in February 2014. Most likely because of the big name stars listed at the top of the credits. George Clooney, Matt Damon, Bill Murray, Cate Blanchett, Hugh Bonneville (aka Downton Abbey's Lord Grantham) and others made it look like a European, period-piece iteration of the Oceans movies. Brad Pitt wasn't there eating his way through the scenes (seriously, it's a thing), but the group dynamic feels similar. Plus, the men are running around, each doing their own tasks that contribute to the whole mission. The best part about reading through the Modern Library 100 Best Novels list remains the masterpieces I come across that would be unlikely to have crossed my path otherwise. Perhaps someday, while accomplishing a future goal of reading all the Pulitzer Prize winners, I would have come to it. However, since the goal of reading all the Pulitzers stemmed from this challenge in the first place, I still have to credit Modern Library for bringing Wallace Stegner to my attention. The book, which did win the prestigious award in 1972, loosely follows the life of writer and illustrator Mary Hallock Foote. Stegner, who has actually been accused of plagiarism, copied large sections of her letters to use in the book. He did, however, claim to have permission from her family to do so. In the novel, East Coast Quaker Susan Burling strikes up a romance with mining engineer Oliver Ward. The two marry and proceed to move all around the western frontier as Oliver's career carries them about. The book covers their life together and times apart, including the relationships they build and the three children they have. 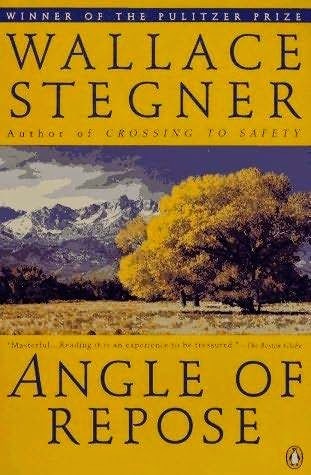 What makes the story unique is Stegner's narrator. Lyman Ward lives in the late 1960s. A retired history professor, he is now an amputee and slowly dying of a "petrifying" disease. He is divorced and has one son, who does not seem to bring him any particular joy during his visits. Rather, Lyman has chosen to spend his last years telling the story of his grandparents, Susan and Oliver. He recounts their narrative and embellishes where he deems necessary. His sources are the multitude of letters written between the East and the West over the many years of the Wards' life. Random House recently launched a new program for book bloggers like myself. Blogging for Books offers the opportunity to choose from a selection of recently published books, have a free copy sent to you, write a review, and then repeat the process. I know that some bloggers are not fans of the program, even with the revisions that have been made since its launch. However, I have no issues with it. The main complaint I have read is that bloggers don't want to be obligated to review a book. I write about everything I read, so that's not a problem for me. When I went to select my first book, I floundered around through the different categories for a bit before spotting this cover. How can I, francophile that I am, turn down anything with Paris in the title? And a book about food? David Lebovitz had to have written this with me in mind. Let's disregard the fact that the man has no clue who I am. When my thick, hardcover copy showed up at our door, I literally squealed with joy and hugged it. At this point, Kevin was rolling his eyes. Book hugging is a surprisingly infrequent action at our house, but I do succumb when I am really excited about whatever new treat I have my hands on. This book more than qualified. 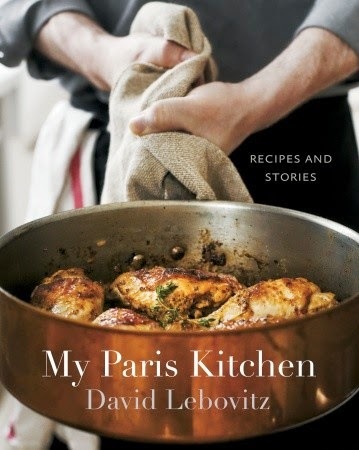 Lebovitz's latest work is a blend of memoir and cookbook. 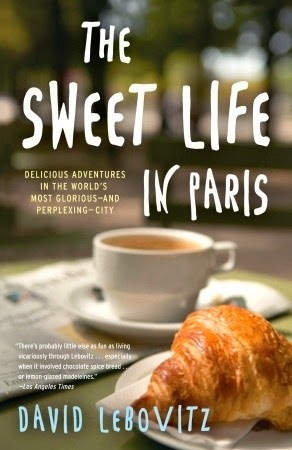 As you know from earlier this week, I had his memoir, The Sweet Life in Paris, On Reserve for quite a while. When I selected this book to read and review, I knew the time had come to read that one as well. Lebovitz, who was one of the earliest food bloggers and has become well known largely through that world, has lived in Paris as an ex-pat for ten years and has plenty of amusing stories from his adventures there. My Paris Kitchen combines those stories with recipes, artfully tying it all together. I never get tired of reading about France. Or about food. Better yet, put the two together. Earlier this year, I read Peter Mayle's A Year in Provence and fell head over heels for the region. Last year, I read Elizabeth Bard's Lunch in Paris, an American in Paris story if there ever was one. Today, I've returned to the City of Light with David Lebovitz, a popular food blogger and author of a series of cookbooks, most of which focus on desserts. I actually had a chance to read and review his latest book, My Paris Kitchen (you may have noticed this post on the Facebook page), so now seemed an appropriate time to pull his memoir off my On Reserve list. Lebovitz's memoir came onto my radar with a host of other food memoirs some time last year. This particular book recounts a variety of aspects of French life, along with some wonderful recipes at the end of each chapter (similar to Bard's memoir). Lebovitz moved to France in the early 2000s, leaving behind life and a restaurant job n San Francisco. His successful career as a food blogger and writer has allowed him to take the time to truly immerse himself in the city and culture of Paris. By this point in my life, I have figured out that that love is what drives my passion for reading, my occasional TV binge watching, and my endless search for the next great movie. I even think it's why I love music. Good music, after all, tells a story in its own way. The best moments are when a few of those story-telling methods join together. A book gets adapted into a movie, a Broadway show or opera combines music and plot, or, as is relevant to this post, someone writes about a story written by others. That's what this little book is all about. 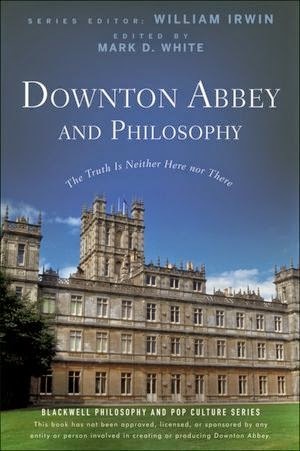 Television hit Downton Abbey meets written analysis. You may remember last year when I read The Girl Who Was On Fire. The collection of essays focuses on Suzanne Collins' blockbuster series, The Hunger Games. Each essay for that book was written by a different young adult author. I completely adored the in-depth look into the series and I was eager to learn that this pop culture analysis is practically a genre unto itself. There are books like this about tons of television shows, movies, and other book series. I happened across this one while perusing my library's digital collection. I have been a Downton Abbey fan for years. This book was written at the conclusion of series (season) two, so it's a bit behind at this point, but it was still fun to take a deeper look into the characters, their actions, and their motivations behind said actions. 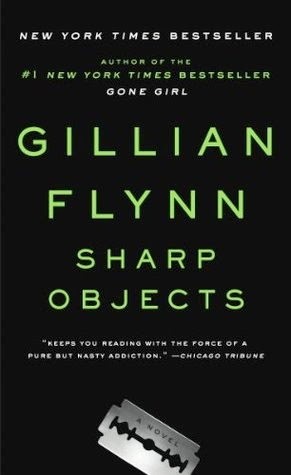 Oh, Gillian Flynn, you master of messed up protagonists. Will you ever write a book about a happy, fulfilled person? My guess is no. I read Flynn's three novels in backward order, a move pretty atypical of me. I like to start at the beginning of an author's literary journey when I can. Obviously, this is necessary with a book series, but I also like to see them grow as an author over the course of their stand alone work. Just didn't work out that way with Flynn's work. I read Gone Girl in September 2012 and was completely captivated. Obviously, I wasn't alone since Ben Affleck is starring in the movie adaptation due out this fall. The narcissistic centerpieces of that book were unlike any protagonists I had ever encountered. And I loved them...I mean, as much as I you can love completely vile people. Then, I read Dark Places last May. Again, a totally twisted book with an emotionally desolate main character. Again, fascinating and horrible simultaneously. And so, now I come to Flynn's first novel. Kevin and I both read it while we were in Aruba earlier this summer. Nothing like laying by a Caribbean pool in the sunshine while reading about one seriously messed up family. Talk about contrasts. Sharp Objects centers around small-time Chicago reporter Camille Preaker and her return to her small Missouri home town. As Kevin pointed out, Flynn sure does love Missouri. Write what you know, I guess. Preaker returns home reluctantly at the instruction of her editor. She is assigned to cover the death and disappearance of two young girls. Yikes. It has been four months since the last Movie Monday. Their absence has come as a direct result of my graduate studies. I just don't have time for everything. However, it's not like I gave up movies entirely. Kevin and I have still been enjoying more than our fair share. 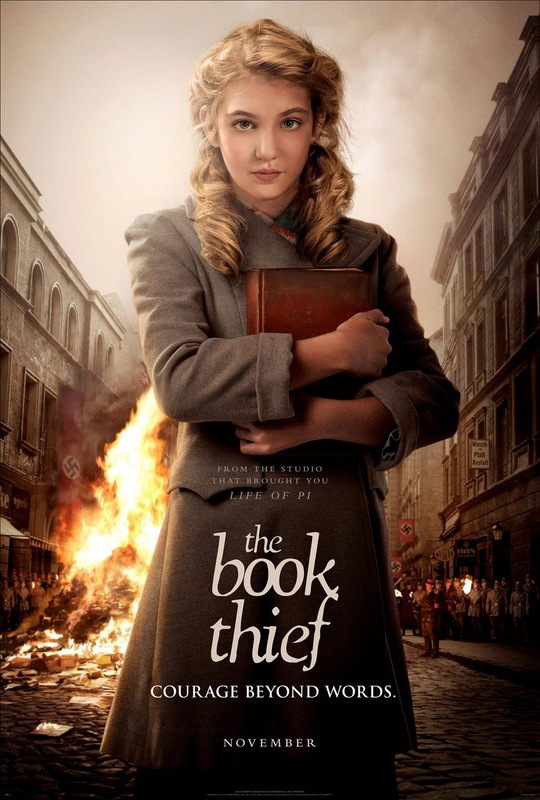 I read The Book Thief by Markus Zusak near the end of 2012. At that point, it was five years old, but probably at the peak of its popularity. Although, that level has surely spiked again since the release of the film. I enjoyed the book, especially appreciating a WWII story from a German citizen perspective. Looking back, I had forgotten how long the book was (nearly 600 pages). I'm surprised they were able to work it down into a two-hour movie. And a good movie, at that. It is a good movie. If you haven't seen it already, I definitely encourage you to rent it, whether you have read the book or not. Of course, you'll enjoy it much more if you have read the book (duh, always), but it is beautiful as a stand alone piece as well. Kevin really enjoyed it and we he did not read the book. In case you haven't figured it out by now, I read a lot on vacation. Like five books. In a week. It was positively delightful. What more do people want from their vacations? Ok, well, I have asked Kevin that our next vacation be a sight-seeing one (i.e. not the beach, but somewhere with more historical sites and museums for me to ogle), so Aruba was probably my last book-devouring trip for a while. Unlike The Engagements, this pick definitely is not a traditional beach read. Who spends their pool time reading about the cultural struggles of a Pakistani living in America? Me, apparently. 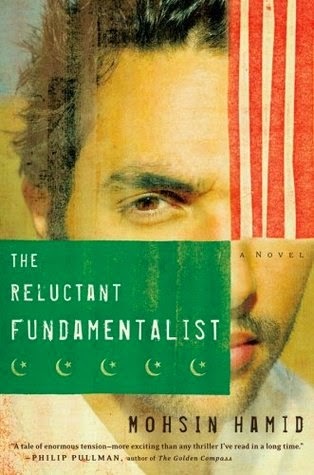 The Reluctant Fundamentalist is told in a unique style. The main character, Changez, speaks in a first person monologue as though he were conversing with an American in a Pakistani café. Changez tells the story of his time in America and how he came to return to Pakistan. Changez originally went tot he states as a Princeton student. Post-graduation, he scores a prestigious job at a consulting firm. At that point, he establishes life in New York and states, "I was, in four and a half years, never an American; I was immediately a New Yorker." I love that image of New York as America's true melting pot, almost separate from the rest of the country in its uniqueness. Changez falls in love with a troubled young woman and excels at work. He still feels a connection, albeit thin, to his native country. Everything changes, however, on 9/11. Typically, I try to avoid novels that center around 9/11. So many of them are too kitsch for my taste. Some hit too close to home with memories of that day. Some are all about giving a moral to the story. Some simply aren't offering a unique perspective. Cynical, perhaps, but all true reasons I avoid 9/11 books. Hamid, however, gives the story from a vantage point few Americans have ever or will ever consider. Changez sees the events as an outsider, one who is quickly stereotyped as such. He describes the post-9/11 tone in the States as such, "I had always thought of America as a nation that looked forward; for the first time I was struck by its determination to look back." TLC Book Tours has obviously caught on to the fact that I enjoyed Gillian Flynn's blockbuster novel, Gone Girl. 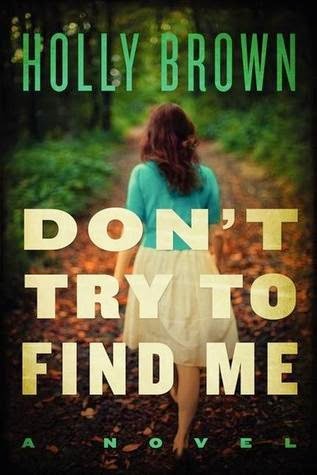 First they sent me Chasing the Sun, a novel about a wife who goes missing, and now Holly Brown's Don't Try to Find Me. Ok, in this one a daughter disappears, not a wife. But, unlike Chasing the Sun, it has the thriller tone of Gone Girl. Unfortunately, it's missing the character development and exploration of Chasing the Sun. In Brown's book, fourteen-year-old Marley runs away from her parents to live with the much older boyfriend she met on Facebook. Don't worry. I'm not giving much away. You find that much out in the first 30 pages or so. Back home, all her parents know is that she left a note instructing them not to search for her. As the story progresses, truths come to light all over the place, particularly surrounding Marley's mother. My biggest issue with this book was the characters. I simply did not find them very endearing. Marley seemed to me to be a spoiled, self-indulgent child, so caught up in her own issues that she cannot see beyond herself to anyone else's struggles. The fact that she ran away to meet someone from the Internet without doing due diligence doesn't make her look very bright, either. I know, I know. This happens. Girls do this, and it's tragic when they do. They are looking for love and some people are very good pretenders. Regardless, I have a natural aversion to ignorant people and Marley's actions make her ignorant in my eyes. Naivé, yes, but mostly ignorant. How can you not love dear, sweet Anne? If you've been around the blog for long at all, you know I've been rereading this delightful series by L. M. Montgomery. 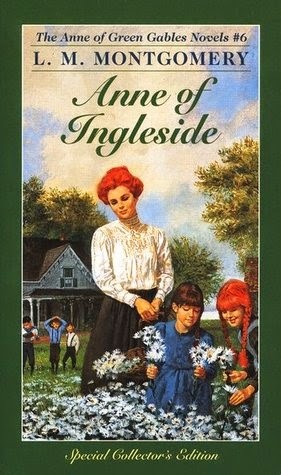 I read them all as a child, but have thoroughly enjoyed revisiting Prince Edward Island and the wonderful "Anne-girl." Most people are at least mildly familiar with Anne of Green Gables and Anne of Avonlea, the first two books in the series, if only because of the 1980s movie adaptations. The later books, however, document Anne's life beyond Avonlea. Anne of Ingleside is book six of eight. When we meet up again with Anne, several years have passed since she and Gilbert left their house of dreams. They now live in a large home they have dubbed Ingleside with their growing gaggle of children. Since Jem's birth in book five, the Blythes have added Walter, twins Diana and Anne ("Nan") and Shirley. Not long into this novel, Anne delivers Bertha Marilla ("Rilla") into the world. I was, once again, struck by how Montgomery never actually references pregnancy and only alludes to Anne's expectant condition. Like the early books, Anne of Ingleside returns to a format more akin to a series of vignettes or short stories than one cohesive novel. In the novel, nearly every Blythe family member has a story or two where they shine. Gilbert and youngest son Shirley are, oddly, left out. In fact, Gilbert factors very little into the plot lines outside of mentions of his doctoring work. 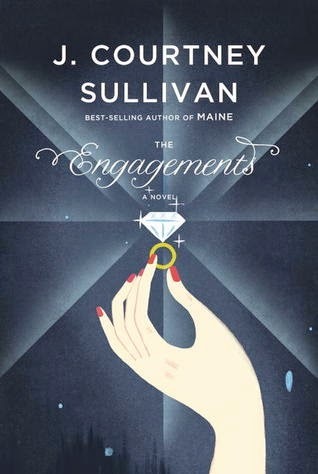 The Engagements marks the third J. Courtney Sullivan book I have read. I read Commencement in April 2013 and Maine just a few months later. I mentioned at the time that, though each book seems categorized by publishers as chick fit or women's fiction, they seemed to fall closer to general fiction. (Soapbox Sidebar: Women's fiction shouldn't even be a thing - at least not in its current state.). Sullivan's characters were strong and complex, if held together by less robust plots. Unfortunately, this third novel deserves its genre classification. The Engagements can qualify as nothing other than chick lit. There is no getting around it. It's a beach read through and through, which, suspecting as much, is exactly why I took it with us to Aruba earlier this summer and read it poolside. Sullivan retains her classic approach: multiple characters each telling his or her (surprisingly, there is one male perspective woven into this book) own story through chapters written from his or her perspective. This story, though, rather than relaying the complexities of friendship or family follows the story and tradition of engagement rings, one in particular. As in previous books, Sullivan does tackle some more complex issues. In this case: infidelity, financial struggles and supporting a family, gay marriage, living as an expat, and gender roles in the workplace, among others. I appreciate that she is willing to tackle some of those storylines, even in a lighter read. Still, I was more impressed with her handling of them in her earlier books. Here, they seemed more trite, likely due to the overall tone of the book. Another great month. Nine books last month, 10 books this month. Summer is the best. I kept up my surge through my On Reserve list and, while I did not meet my self-imposed quota on the 100 Best Novels list, I did make it through one of the longer selections from the list, which I am pleased about. Good enough for me.